I’ve long been a follower and active participant of BAY AREA BACKROADS. Following would entail watching, first, JERRY GRAHAM’s original presentation of Bay Area Backroads, going back to the ’70s or ’80s and the more recent Doug McConnell. Just like it’s name, the local broadcast on KPIX, channel 5 , explored the unusual and out of the way places in the nine county San Francisco Bay Area. When McConnell took over the show he branched out sometimes beyond the Bay Area. The program went off the air, surprisingly, some years ago. I’ve always enjoyed road trips and we live in one of the best places in the world for them, with Bay Area’s diverse topography and history. I’ve been told, for example, that our East Bay area has more parklands than anywhere it’s size in the U.S.
After ‘Backroads’ went off the air , there were limited programs like ‘Eye on the Bay,’ but nothing to compare. 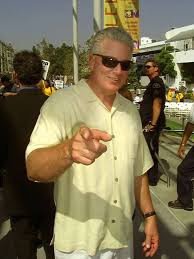 I would soon discover HUELL HOWSER and his CALIFORNIA’S GOLD, shown on KQED, locally and PBS stations throughout California. I liked Howser as much for his most unique, friendly and ‘down home’ personality as the places he would explore and talk about on the show. Sadly, Howser passed away in the prime of his life, late last year and I greatly miss him; Graham, 79, also passed away, recently. I have already followed some of Howser’s trips-which I call the ‘Huell Hoswer Memorial Backroads Trips- most recently to California’s Delta, just one of many places I had no idea existed in such depth. So, I have found much joy in the Bay Area (and California) Backroads, thanks especially to Howser. I miss all Backroads shows but especially Howsers’ originals; fortunately , old episodes continue to air (probably due to Howser’s popularity), though I find it a bit disconcerting to watch knowing Howser is no longer with us, though, I must remember he’s here in spirit and the show preserves his legacy with thousands of people still viewing it.